The Peral was the first electric battery powered submarine built by the Spanish engineer and sailor, Isaac Peral, for the Spanish Navy. The first fully capable military submarine was launched on September 8, 1888. It had two torpedoes, new air systems, hull shape and propeller and cruciform external controls anticipating later designs. Its underwater speed was 3 knots (5.6 km/h) . When fully charged it was the fastest submarine yet built, with performance levels (except for range) that matched or exceeded those of First World War U-boats. 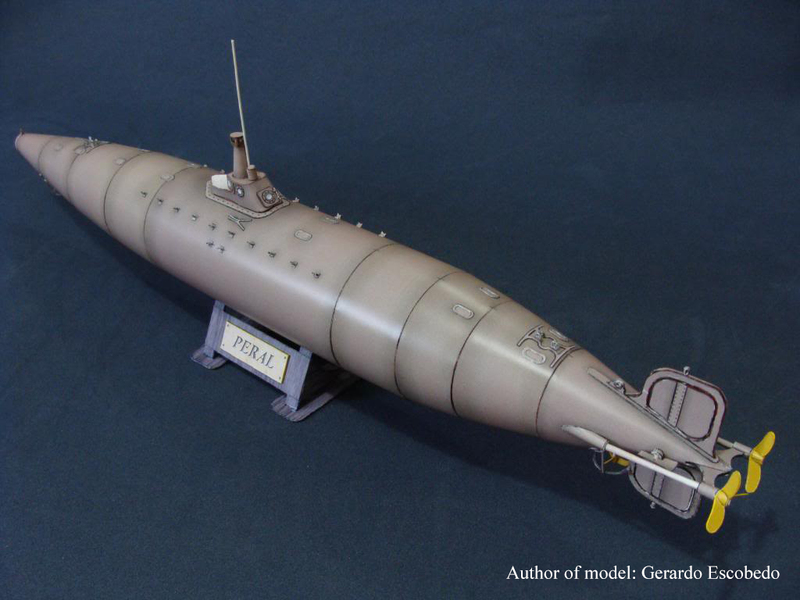 In June 1890 Peral's submarine launched a torpedo under the sea. It was also the first submarine to incorporate a fully reliable underwater navigation system. However, conservatives in the Spanish naval hierarchy terminated the project despite two years of successful tests. Its operational abilities has led some to call it the first U-boat.